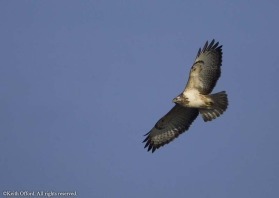 the plumage of Common Buzzard is extremely variable. 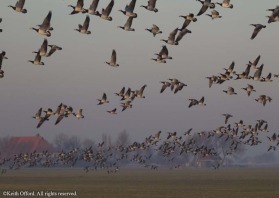 This particularly white form is not uncommon in Holland and some individuals have large areas of white on their upper parts making them look like a different species. 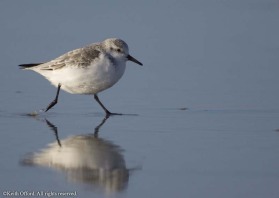 the clockwork-toy sprint along the beach is unmistakeable Sanderling behaviour. This one was photographed on the edge of the North Sea in Holland - perhaps it was trying to keep warm!